“Future Tense,” a program hosted on Radio National by the Australian Broadcasting Company, features an exploration of MOOCs — a half-hour program that includes a discussion of one course, namely ModPo. 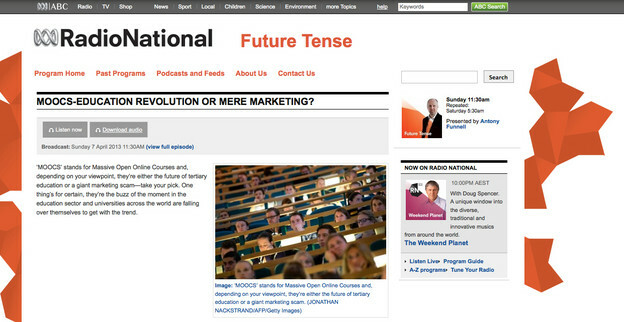 For “Future Tense” program notes, go here. To listen to the recording of the broadcast directly (and to download it), go here.